Experience what it feels like to be a “true explorer” in an undeveloped “wild cave”!! This local tour operator explore caves perfect for beginners, meaning the main passages are tall enough to walk through with some narrow corridors and shallow ceilings. Join us at Popp’s Cave in beautiful Wisconsin where there are some smaller passages that branch off and curve back around to the main corridor. 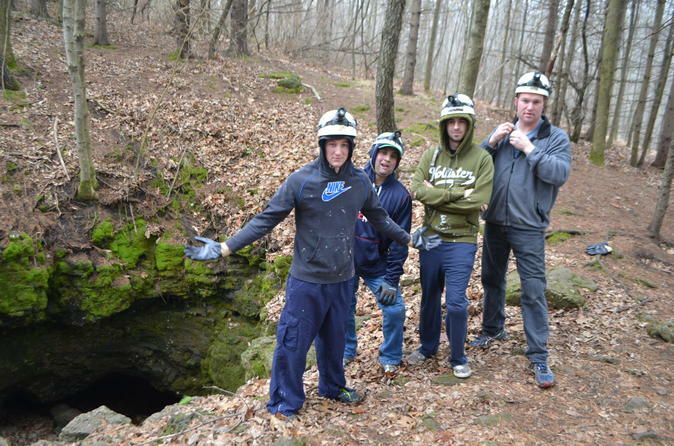 Explorers can also enjoy the true experience of “caving” by crawling around and wiggling thru some tight places! !